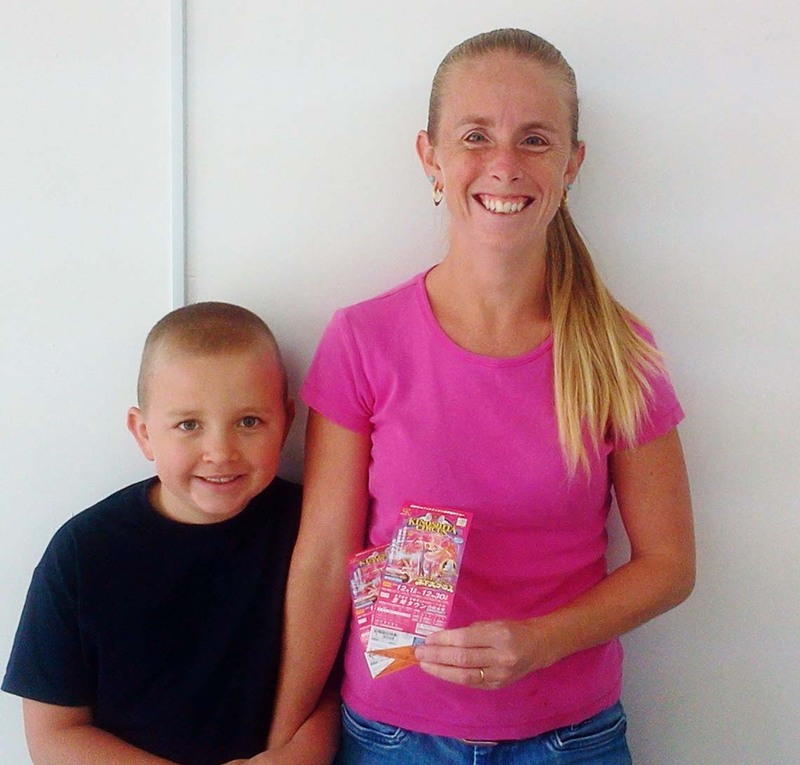 The lucky winner of this week’s Japan Update raffle is Emily Smith, who won a pair of tickets to Kinoshita Circus that will stage daily old fashioned circus extravaganza starting Dec. 1 in Toyosaki, Tomigusuku City. The show will go on through Feb. 3. 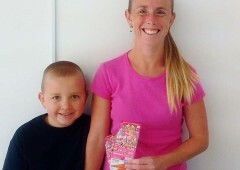 Emily, who came to pick up her tickets with her son Trey, if from Columbus, Ohio, and has lived two years on Okinawa. She says she likes her life here, and her family will try to extend their stay beyond the two more years that is left from the current assignment. She likes people and local culture, and she also likes yakiniku meals, a statement that has her son nod eagerly in agreement. She also interested in the rest of Japan, and says she is planning to visit as many places as she can. She also stated that her favorite section in Japan Update is our series “Fantastic Okinawa” and that she is looking forward to reading more about culture and entertainment events on the island.